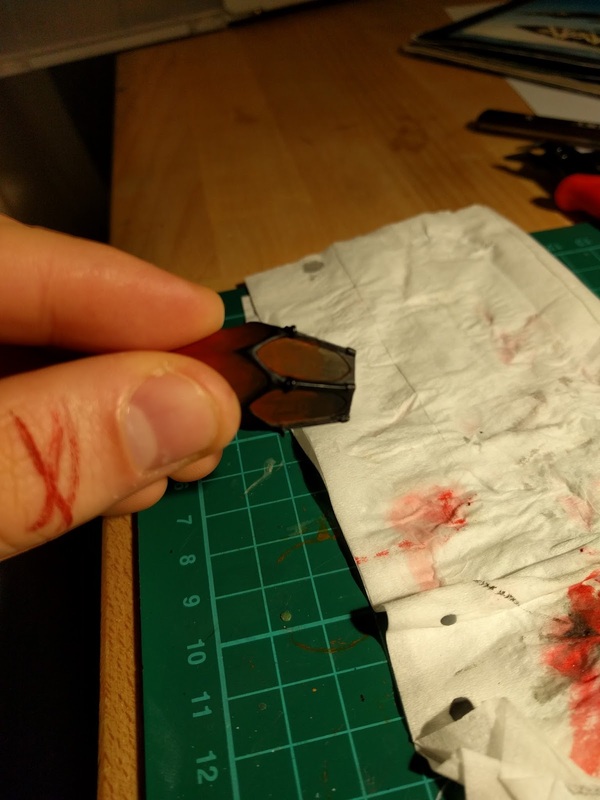 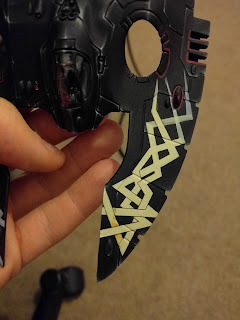 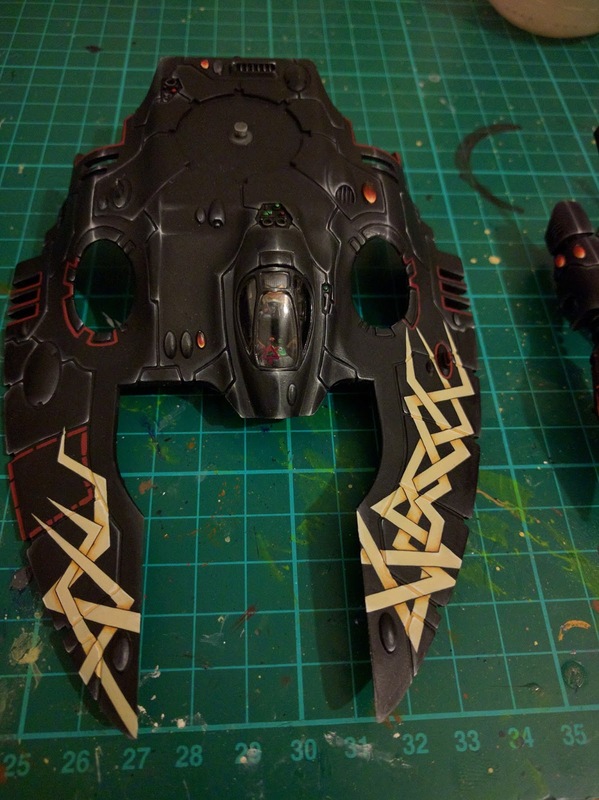 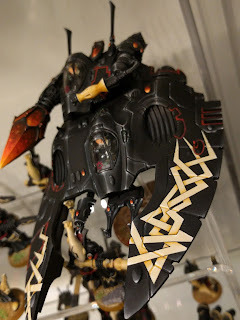 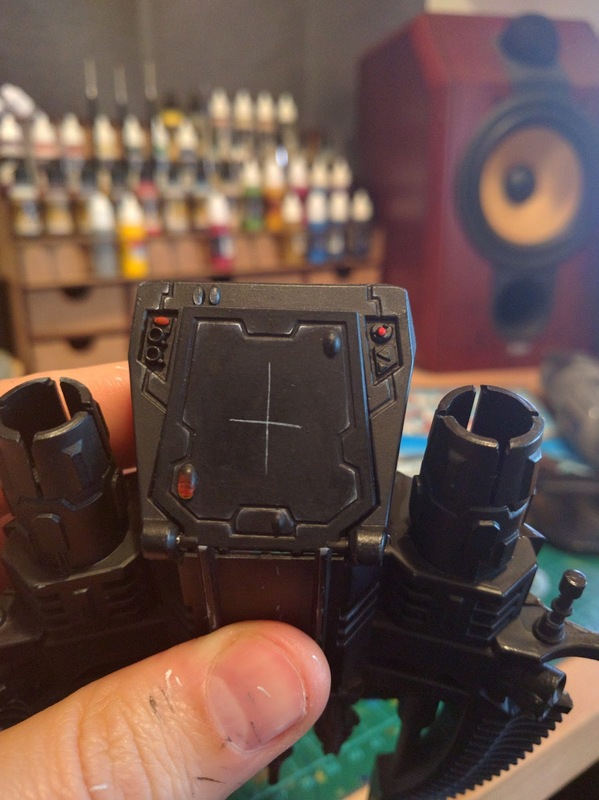 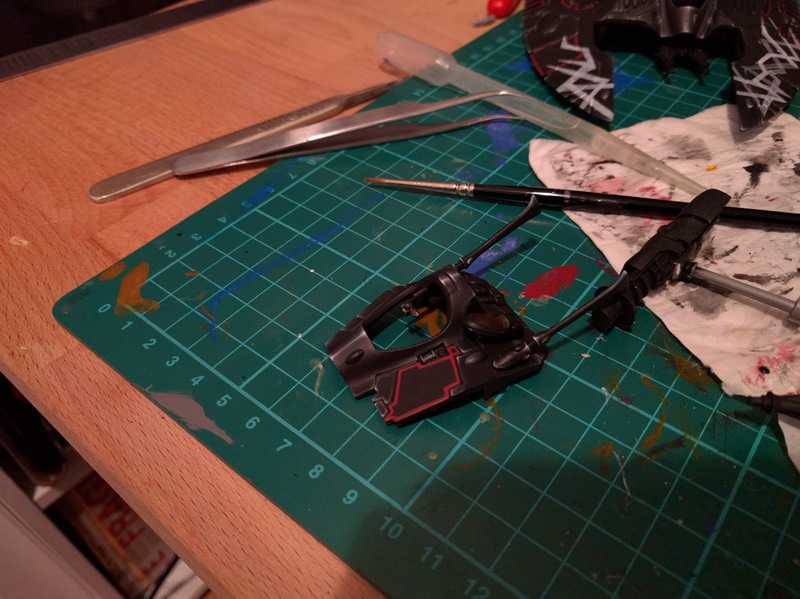 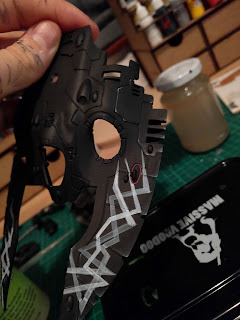 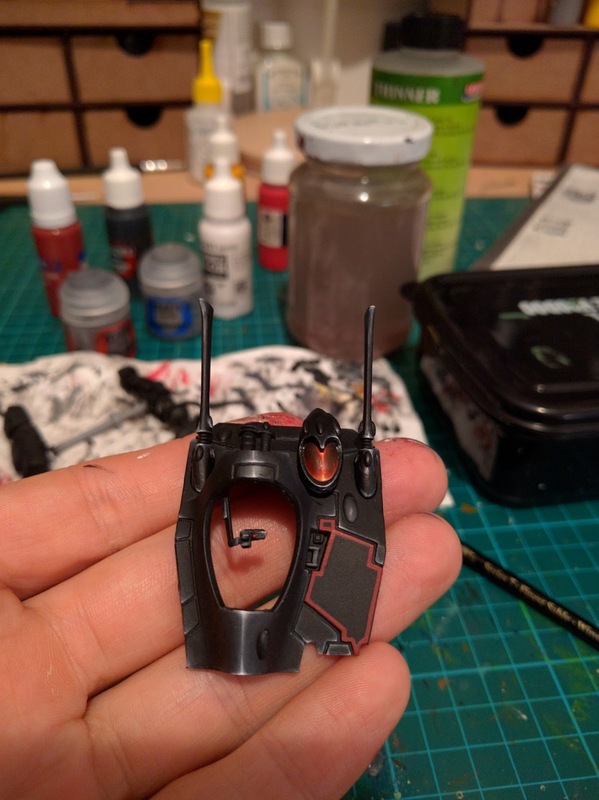 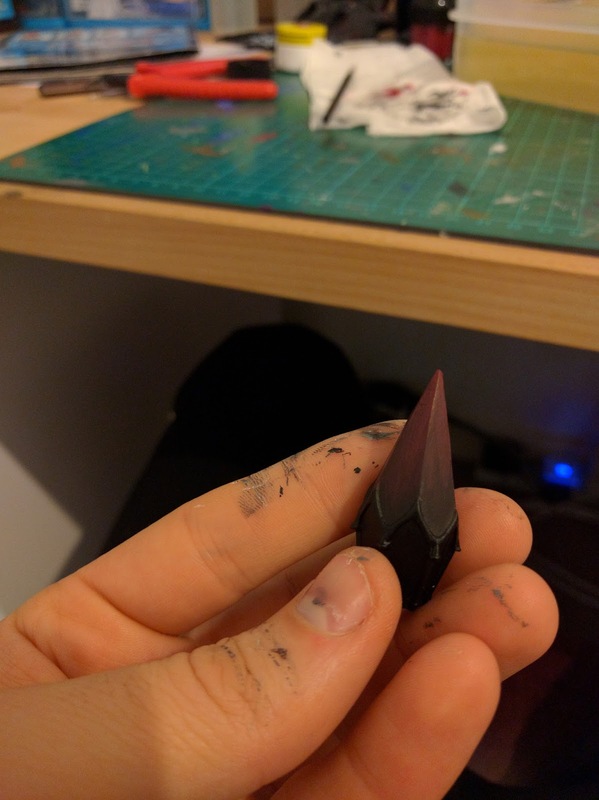 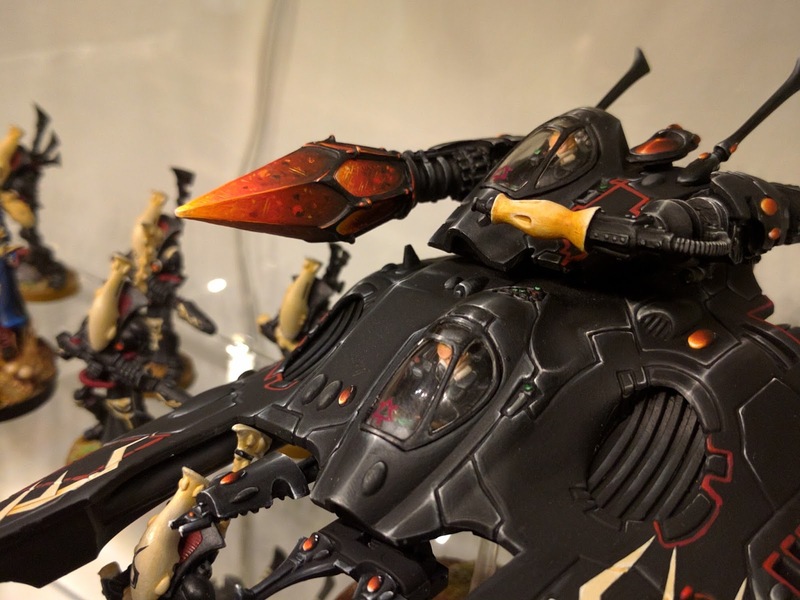 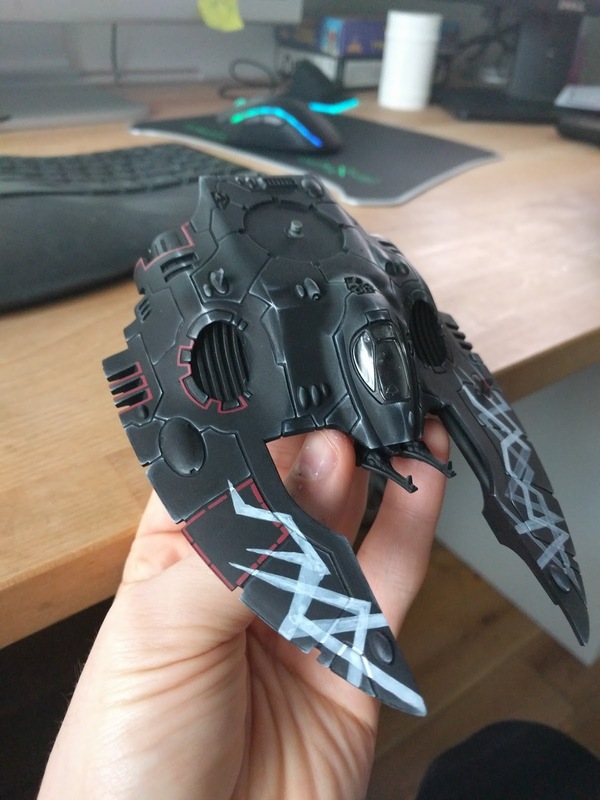 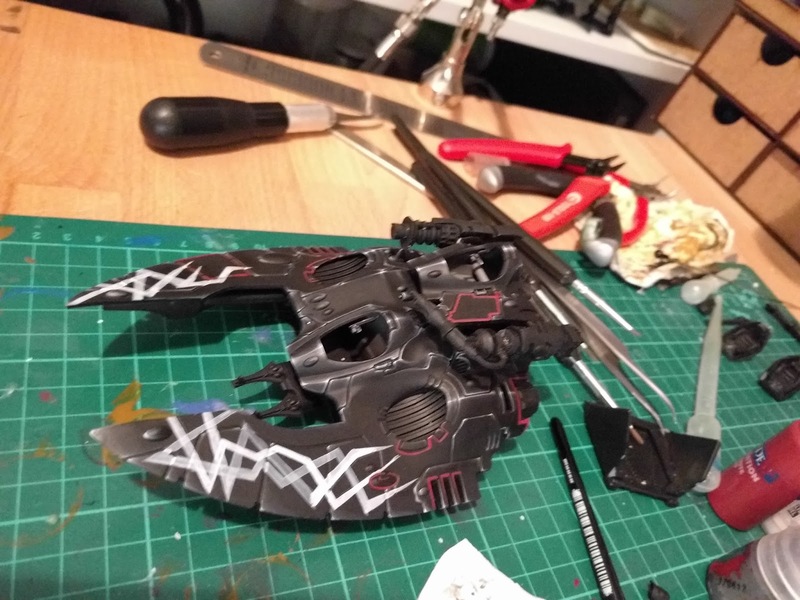 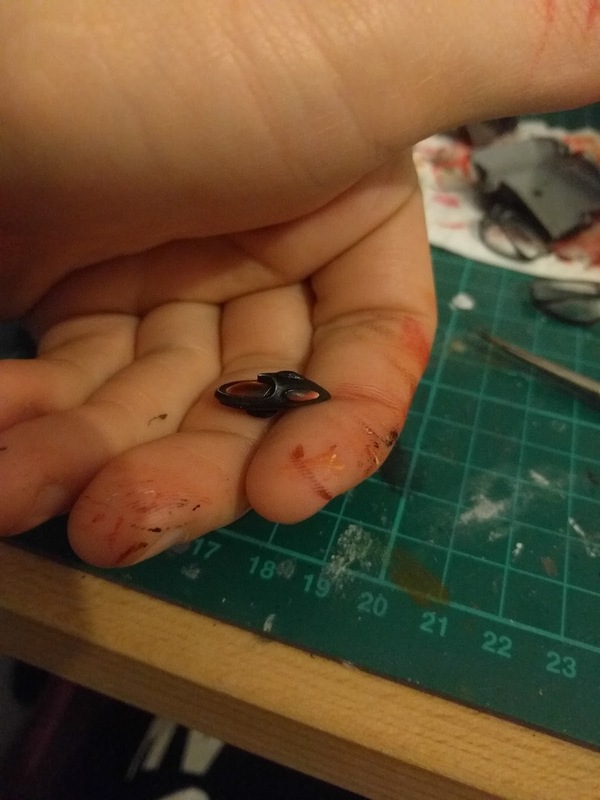 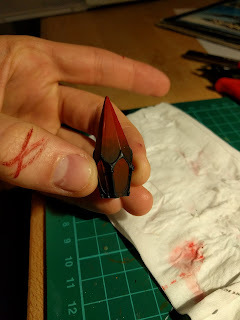 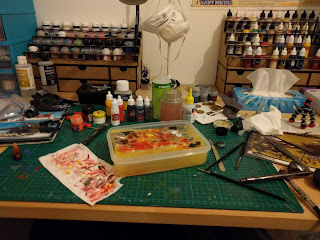 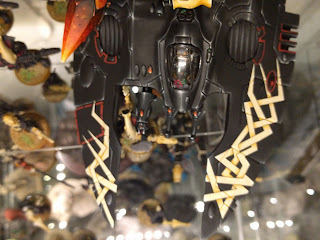 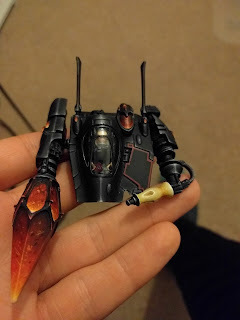 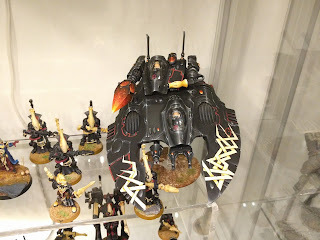 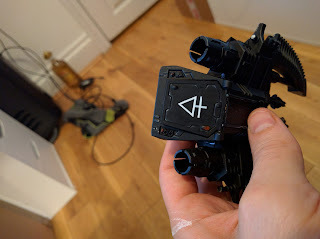 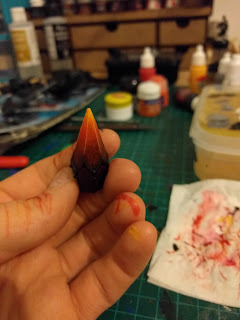 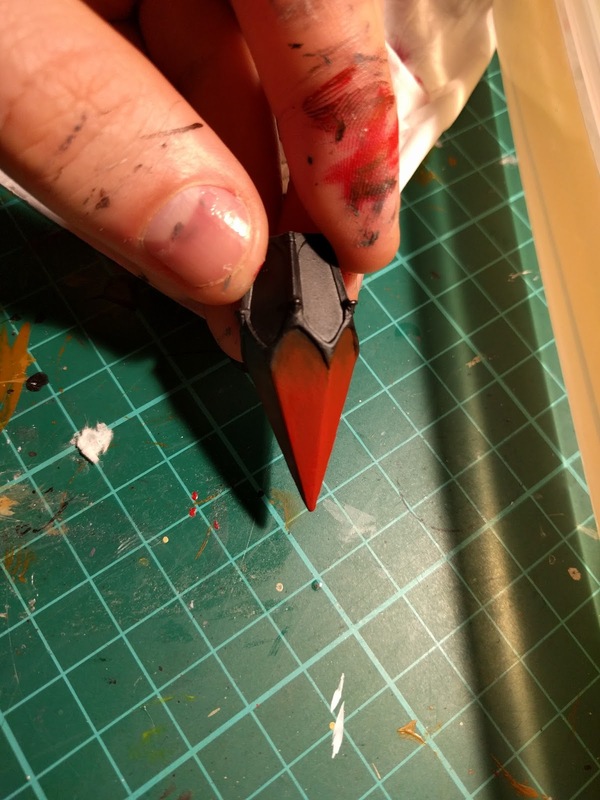 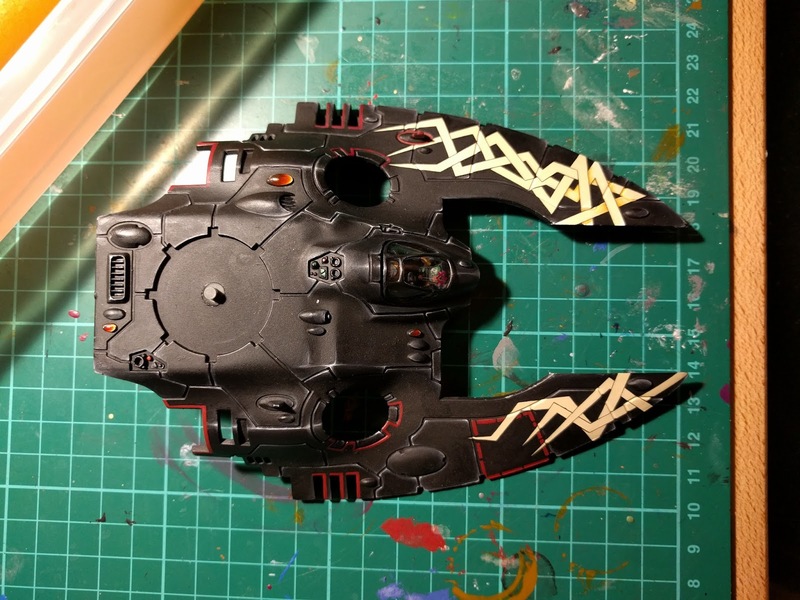 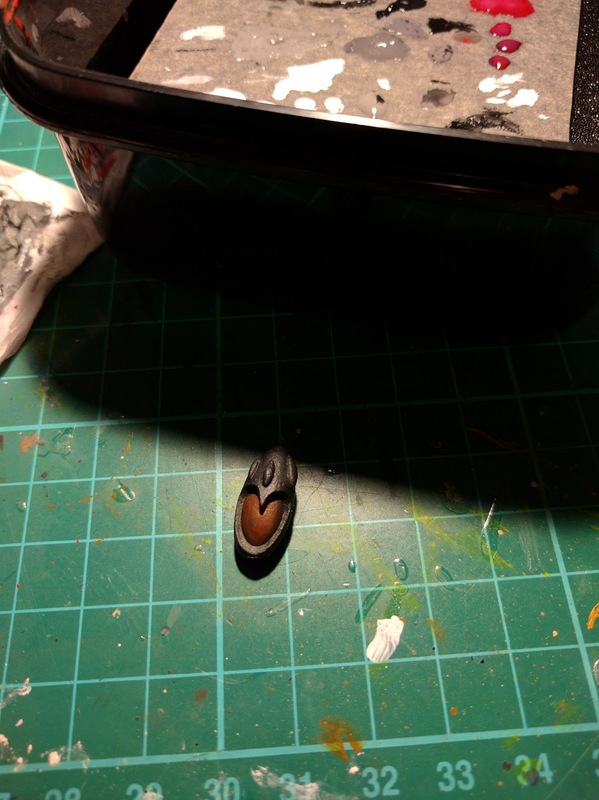 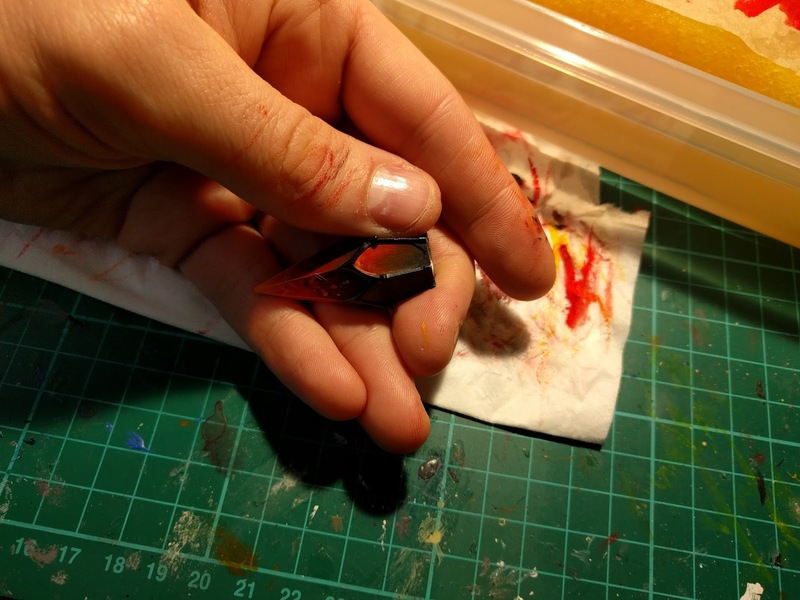 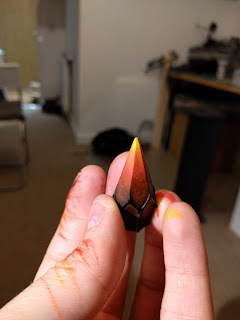 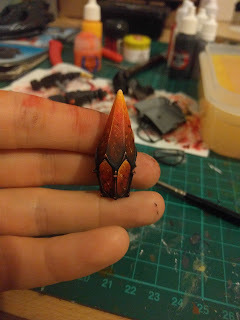 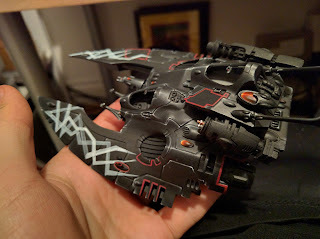 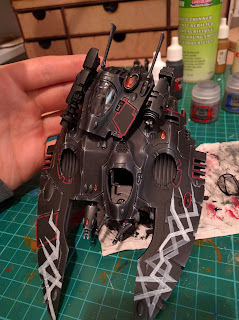 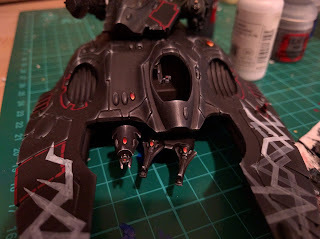 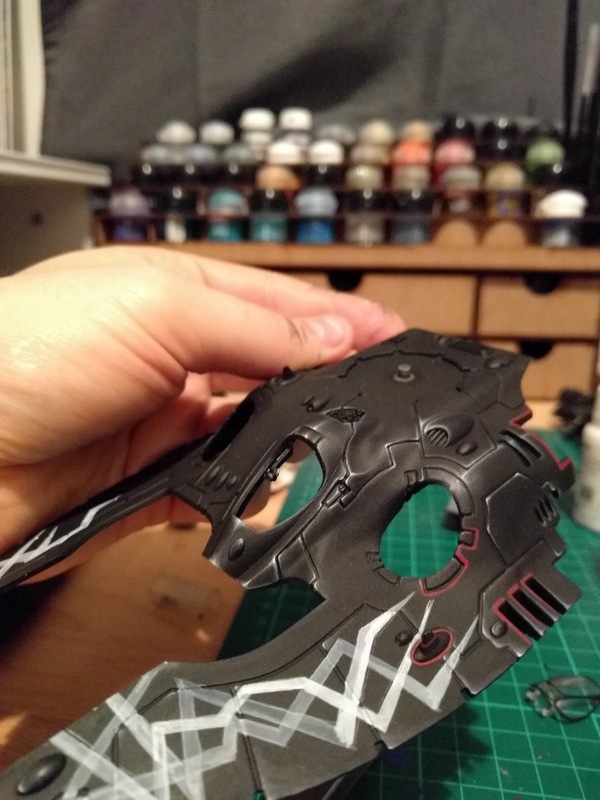 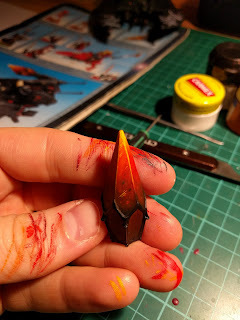 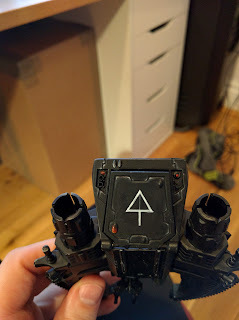 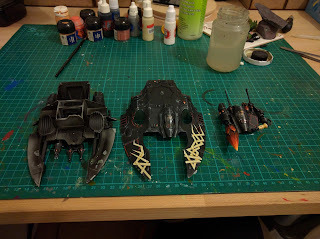 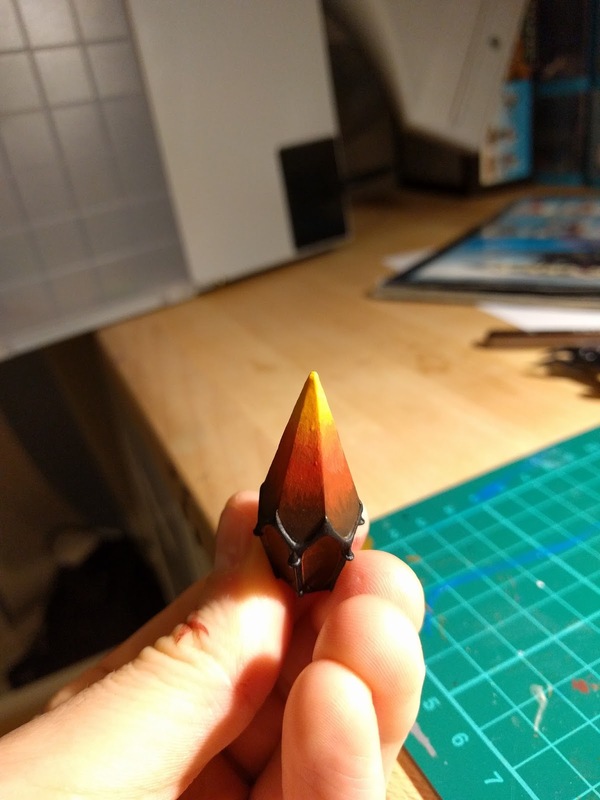 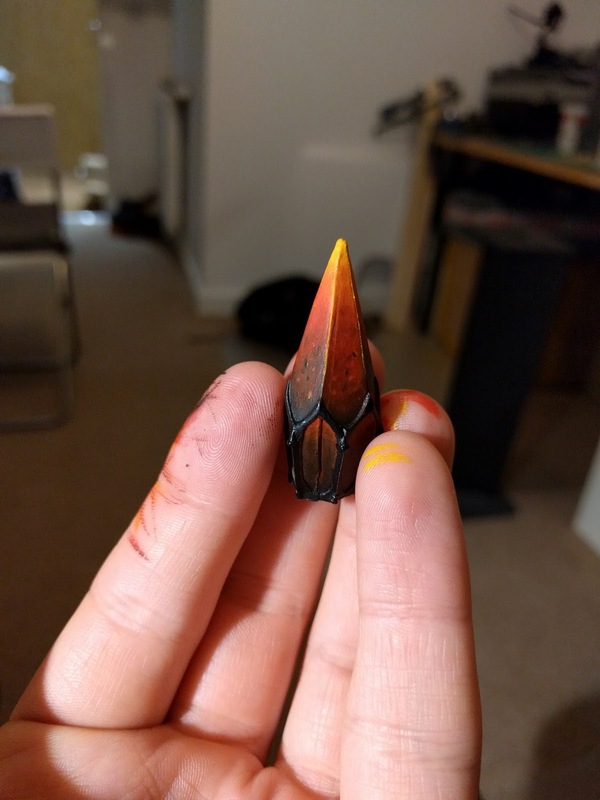 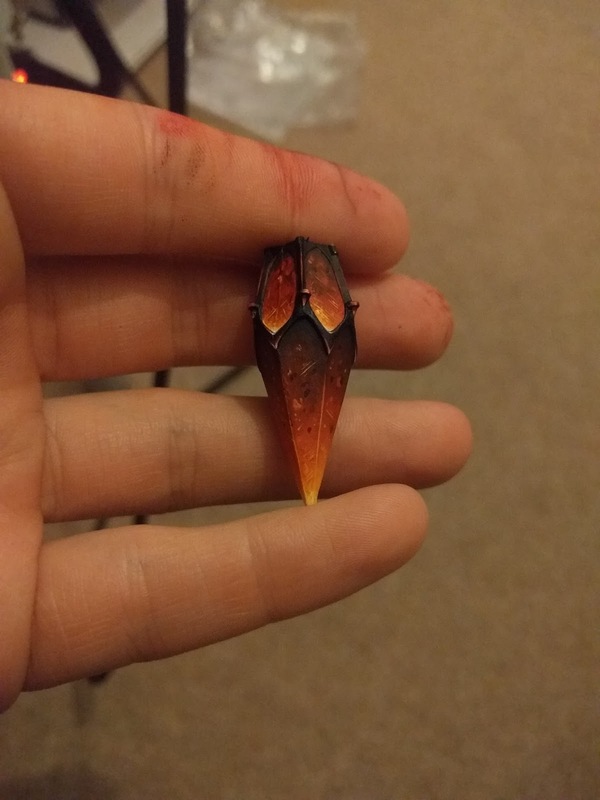 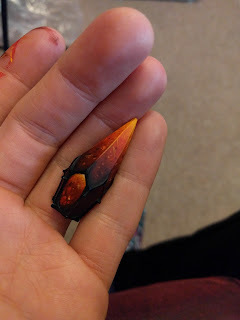 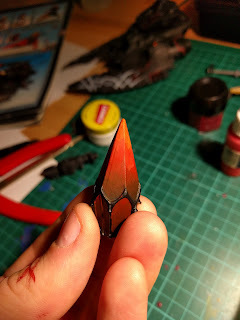 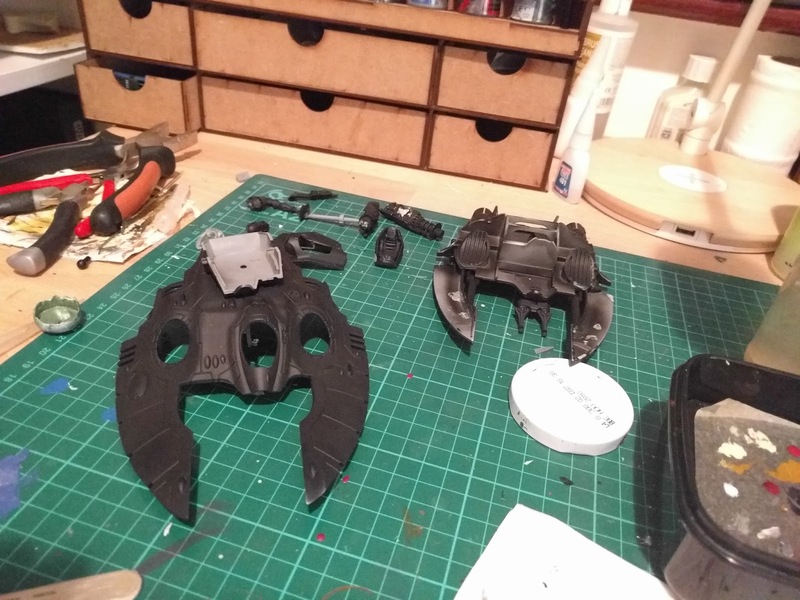 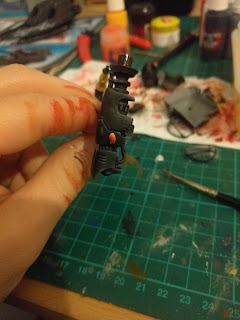 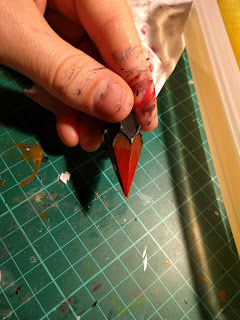 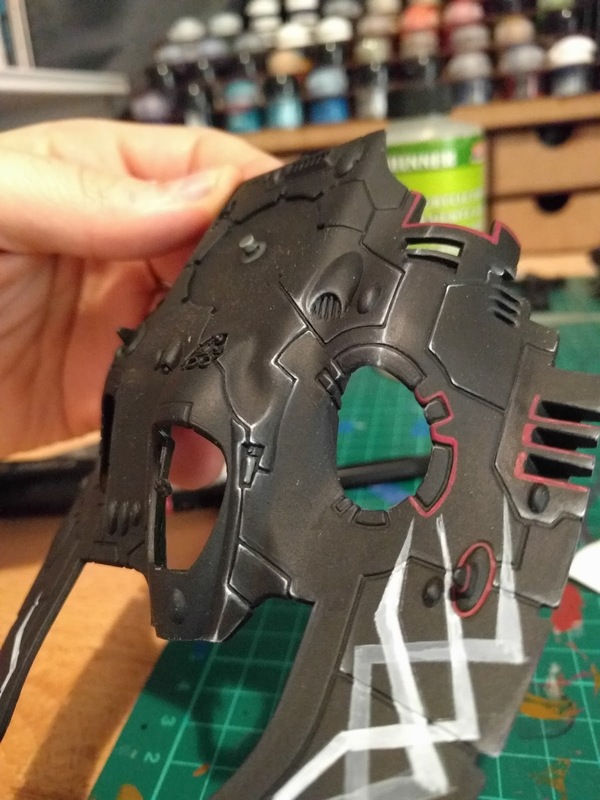 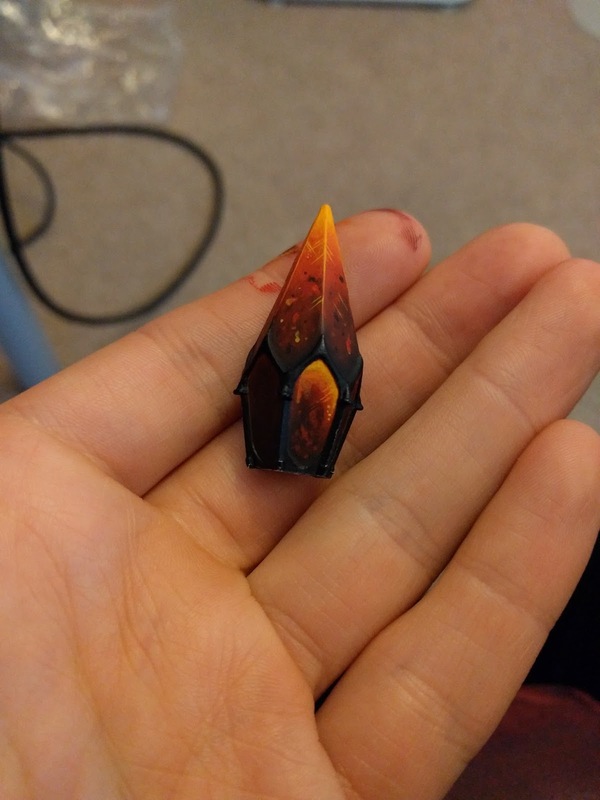 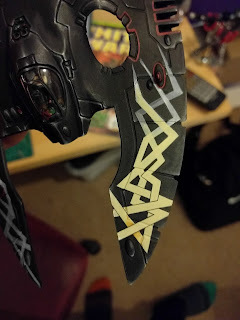 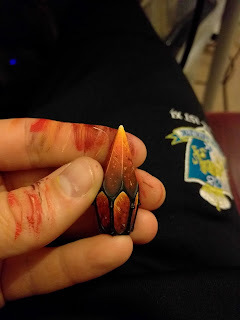 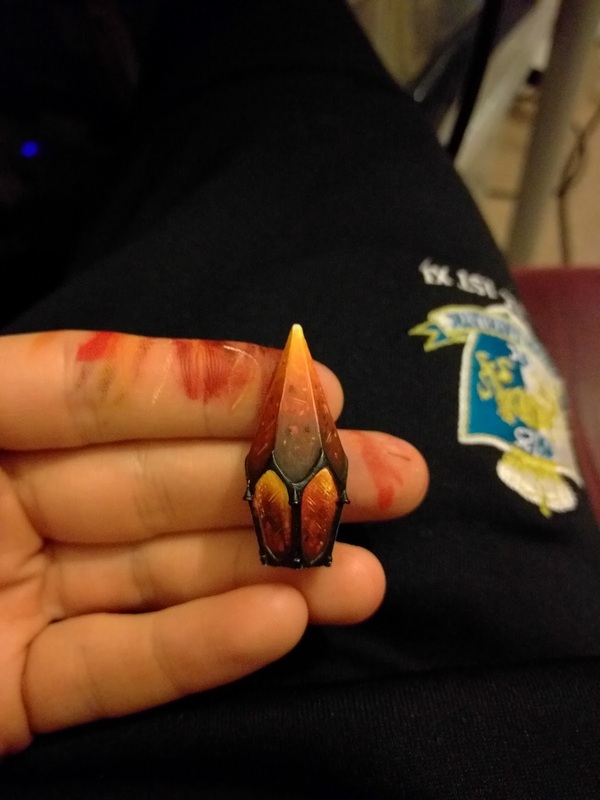 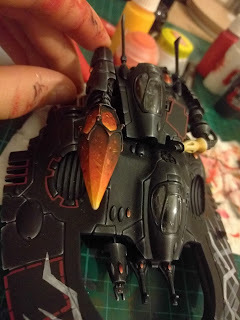 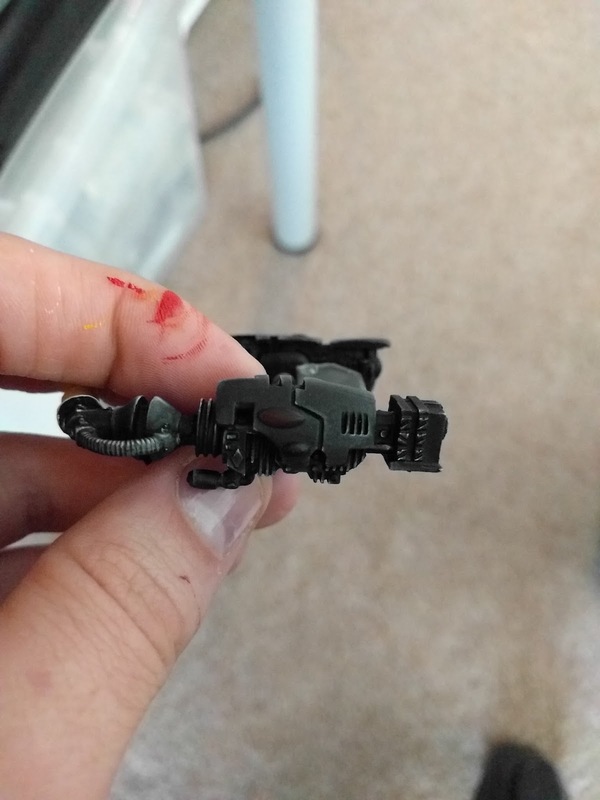 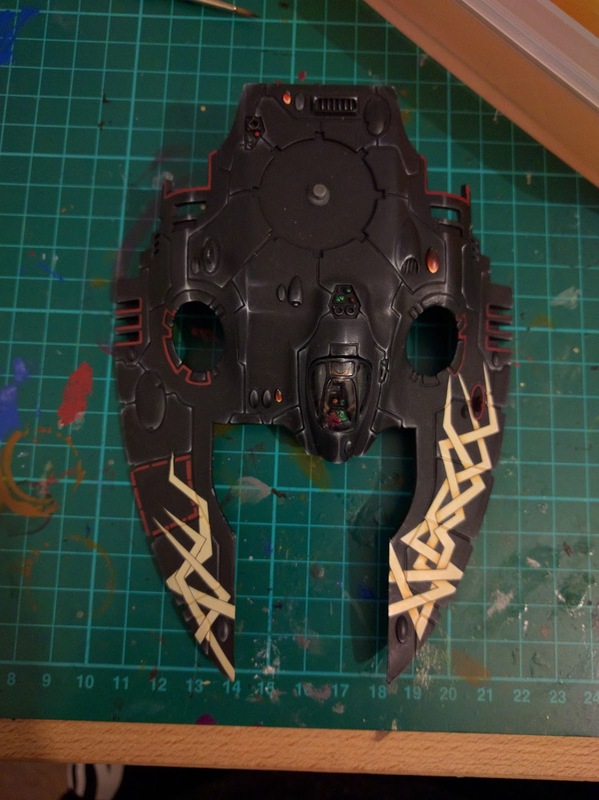 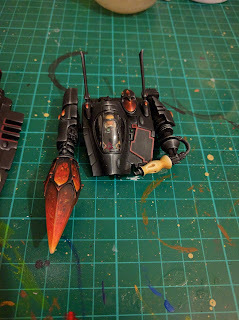 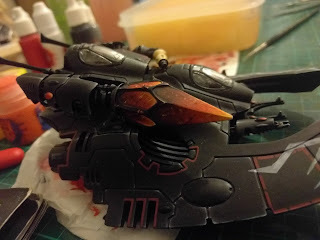 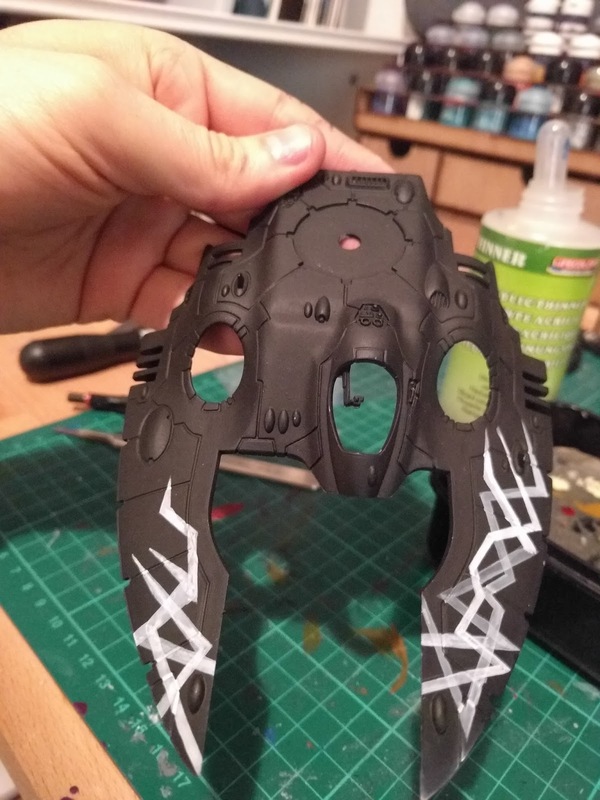 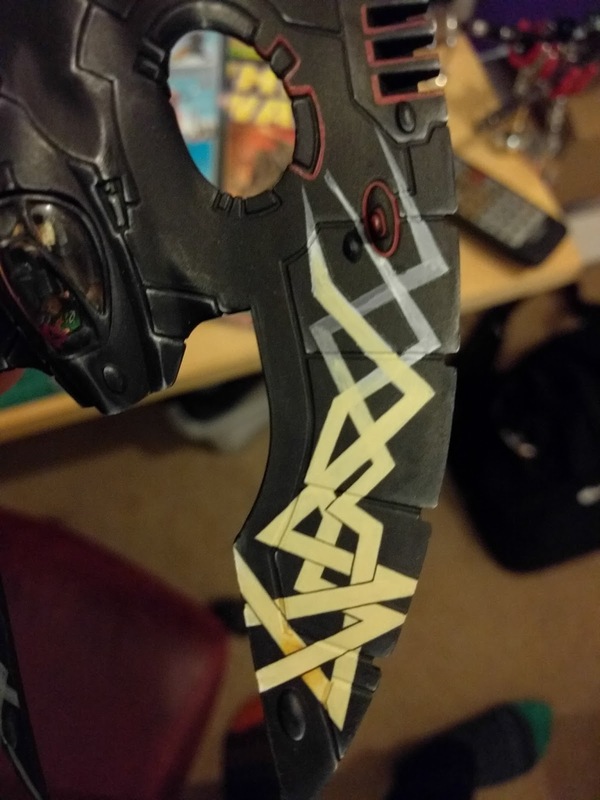 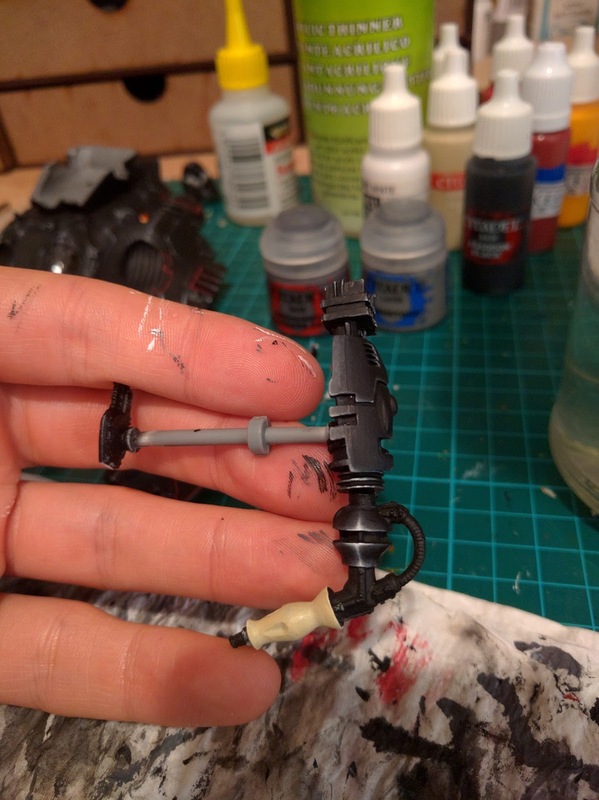 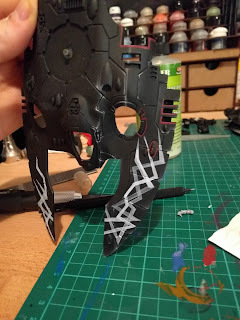 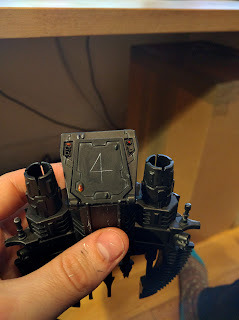 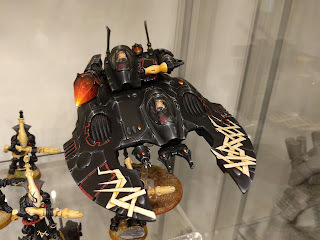 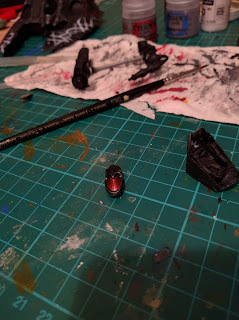 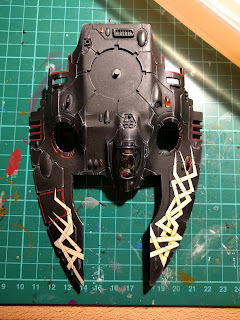 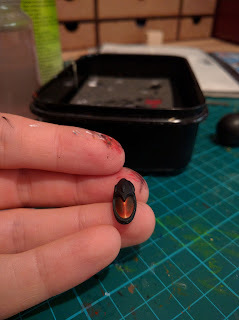 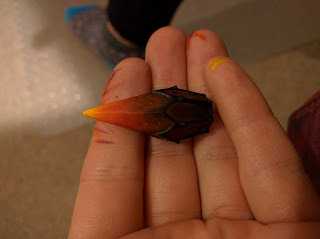 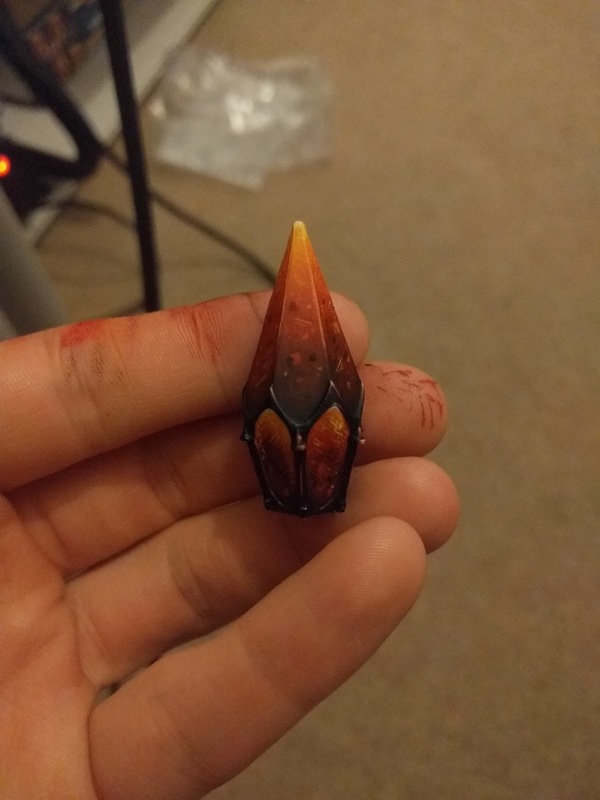 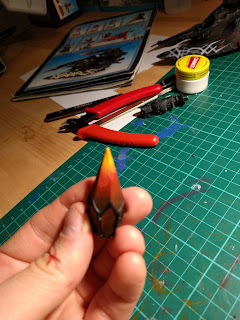 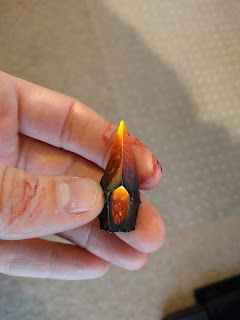 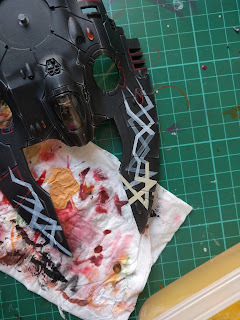 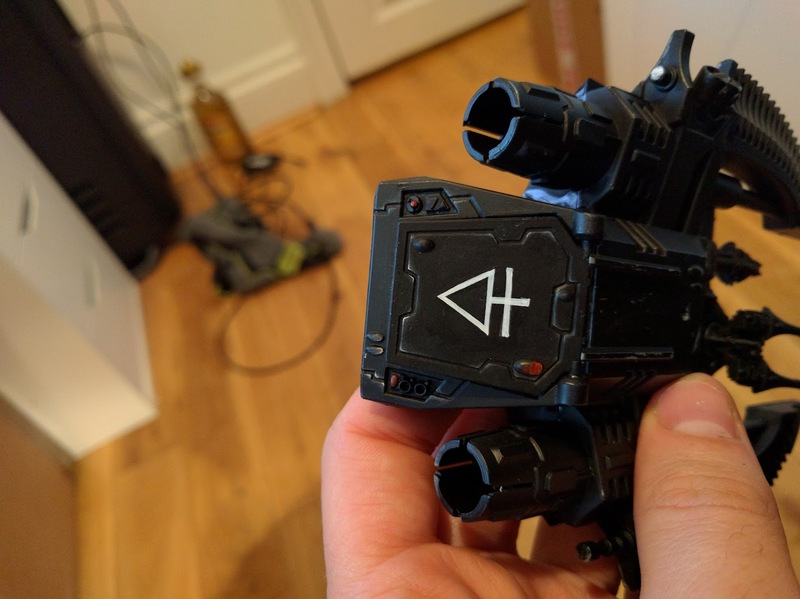 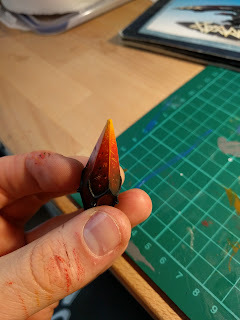 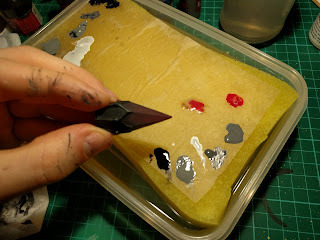 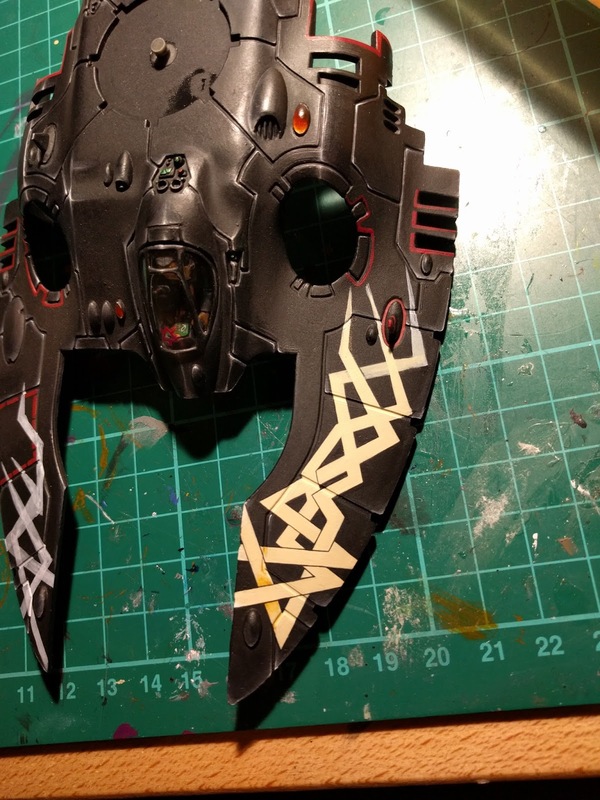 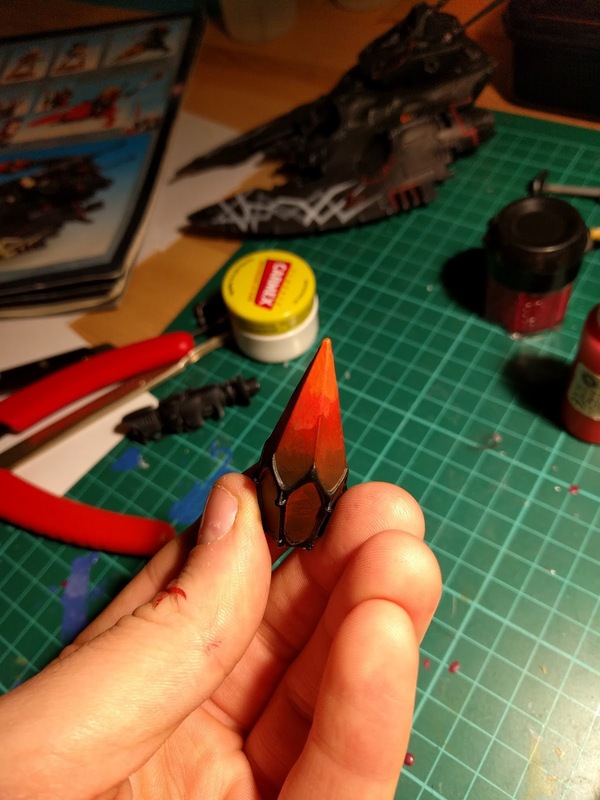 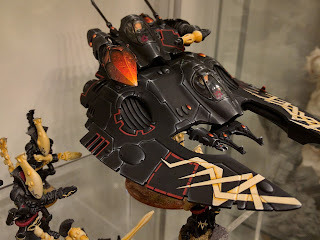 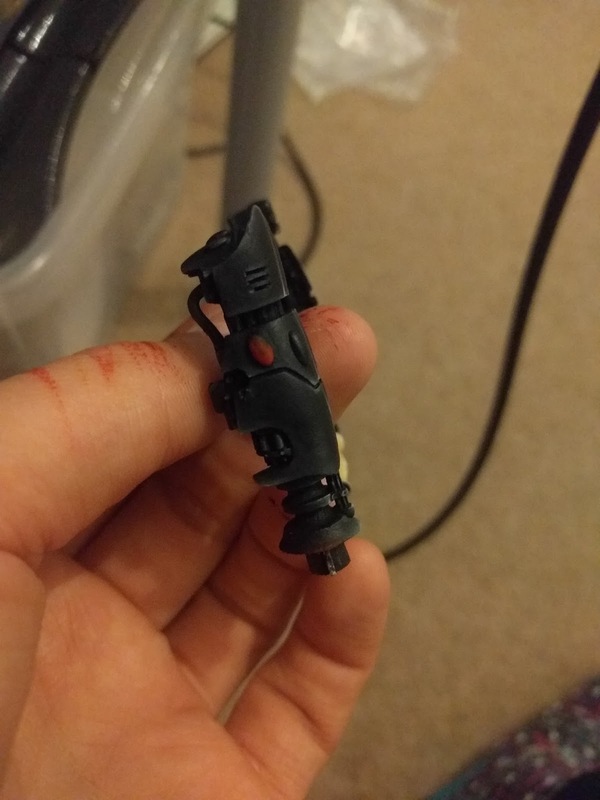 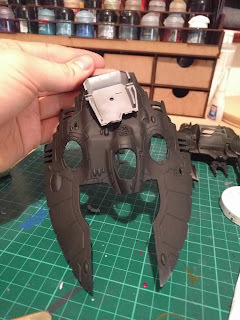 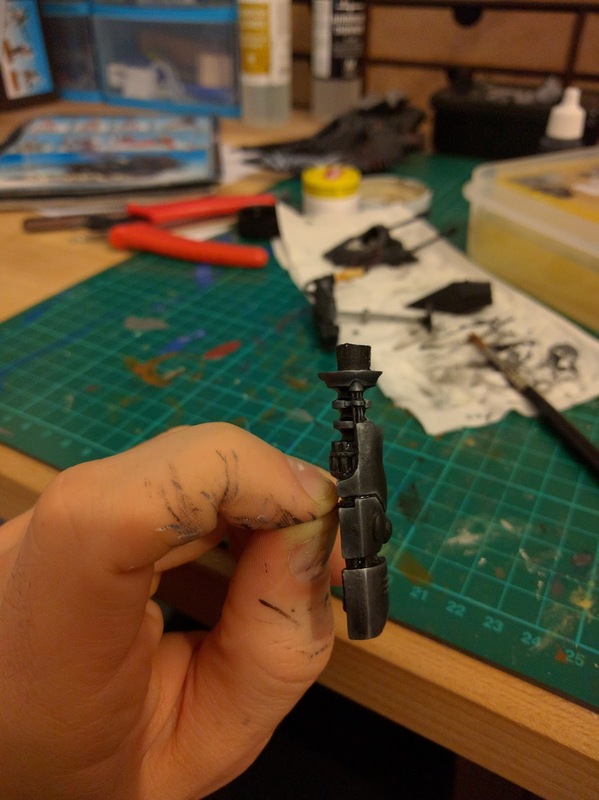 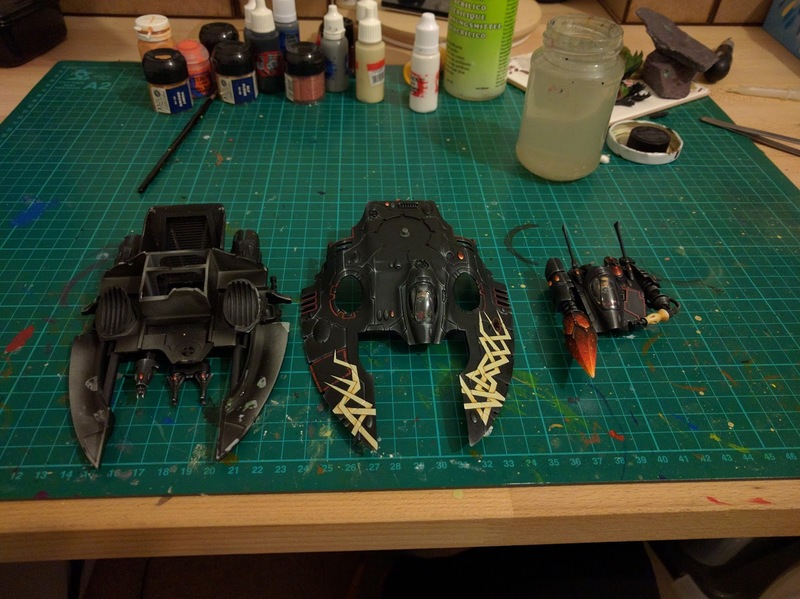 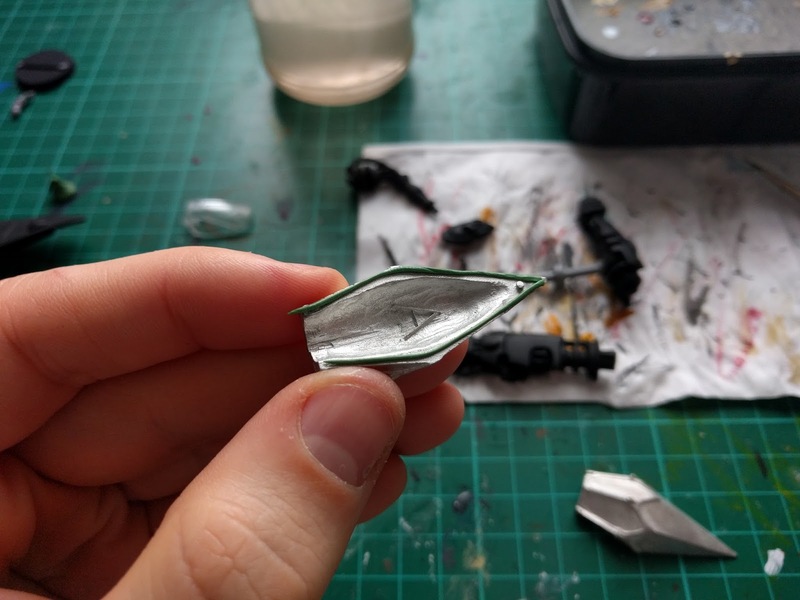 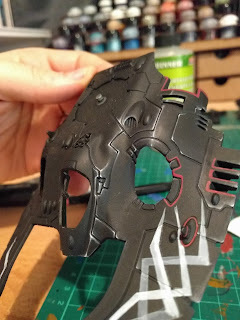 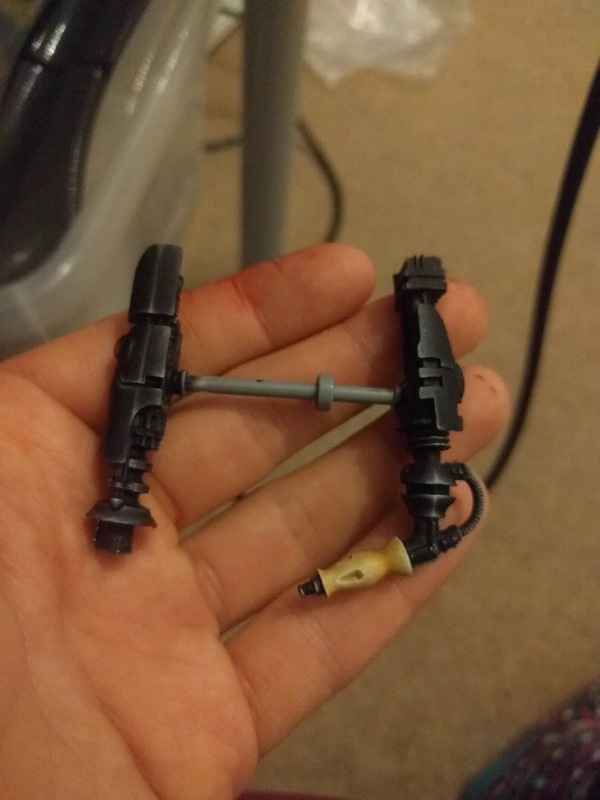 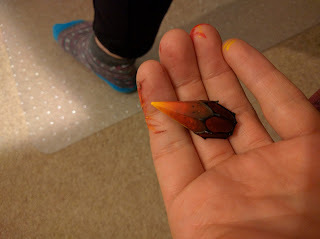 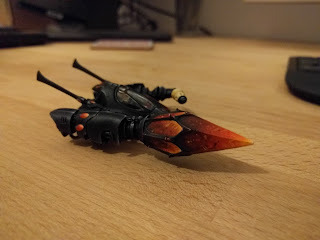 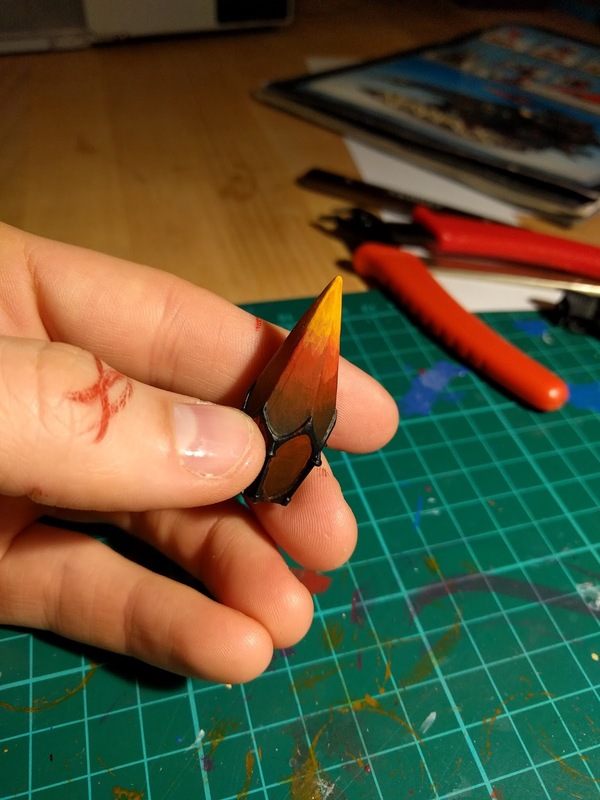 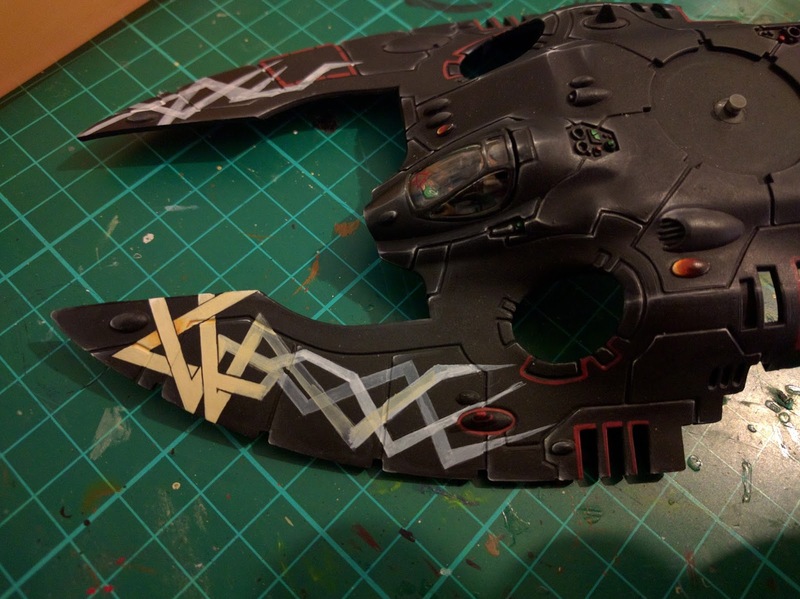 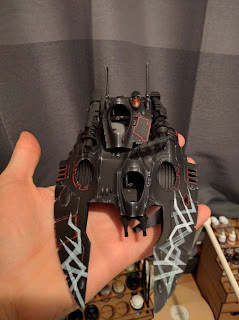 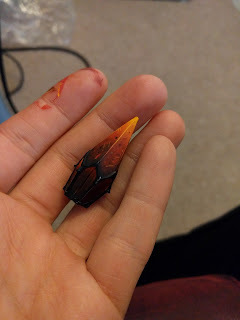 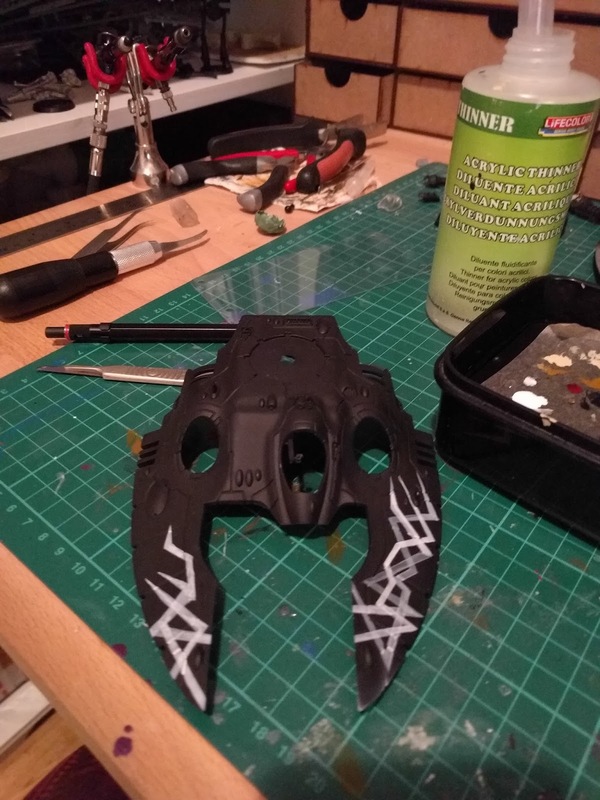 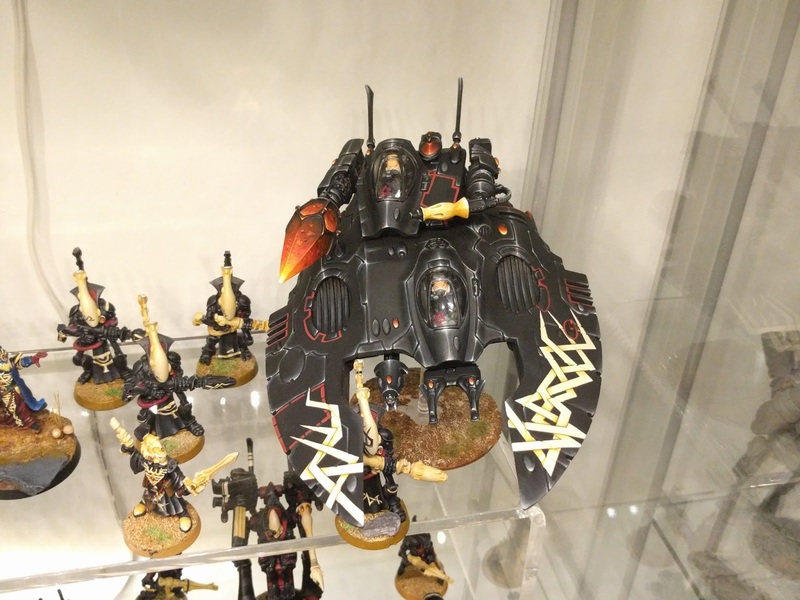 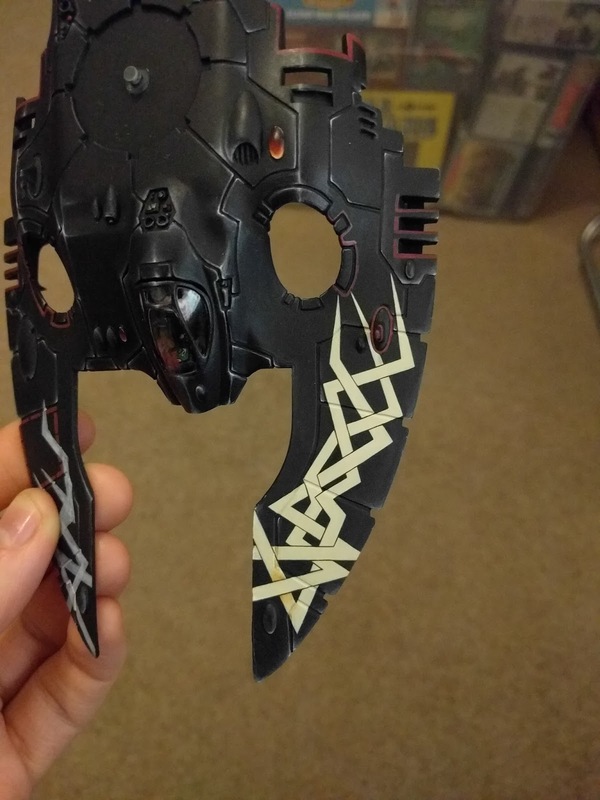 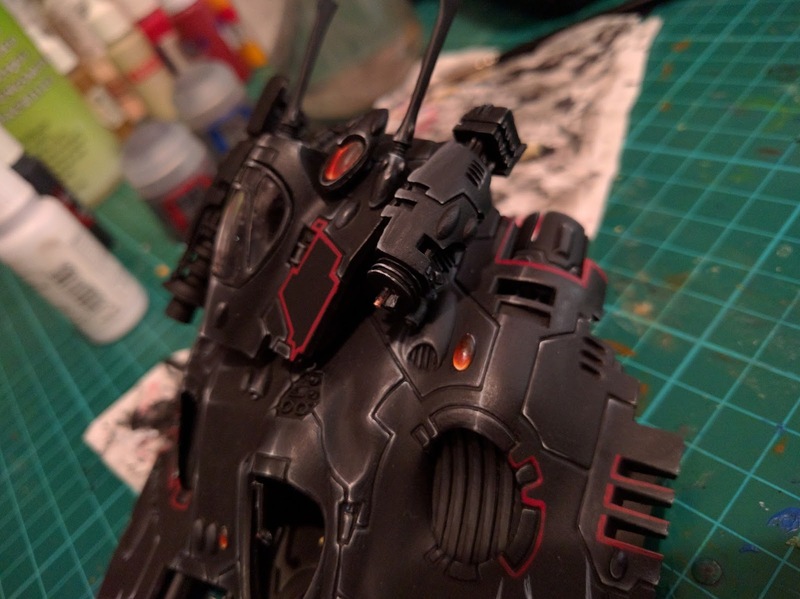 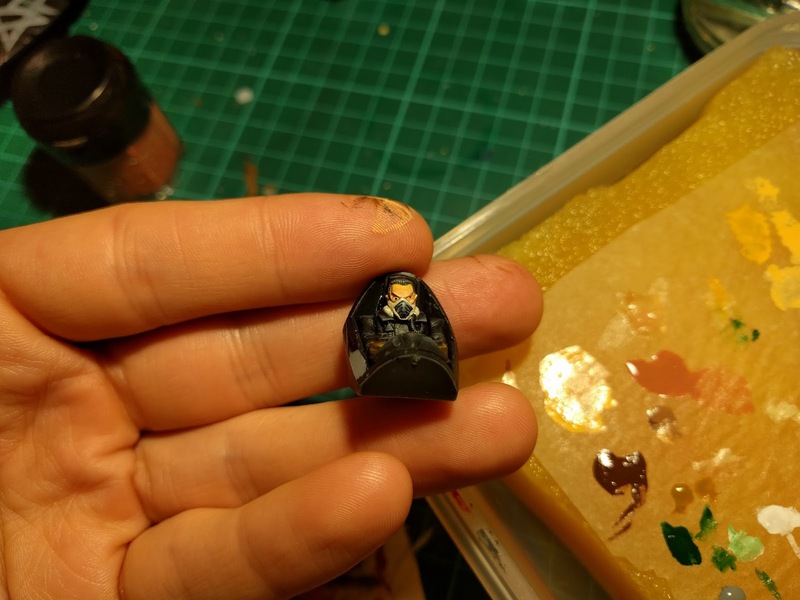 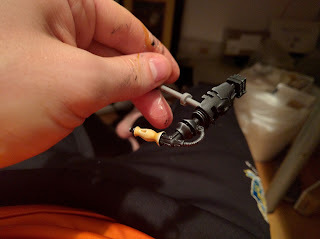 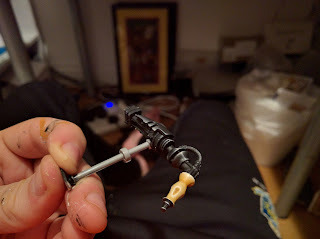 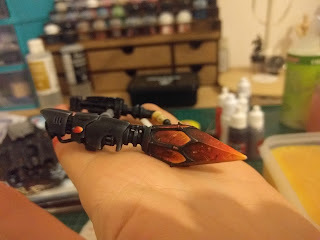 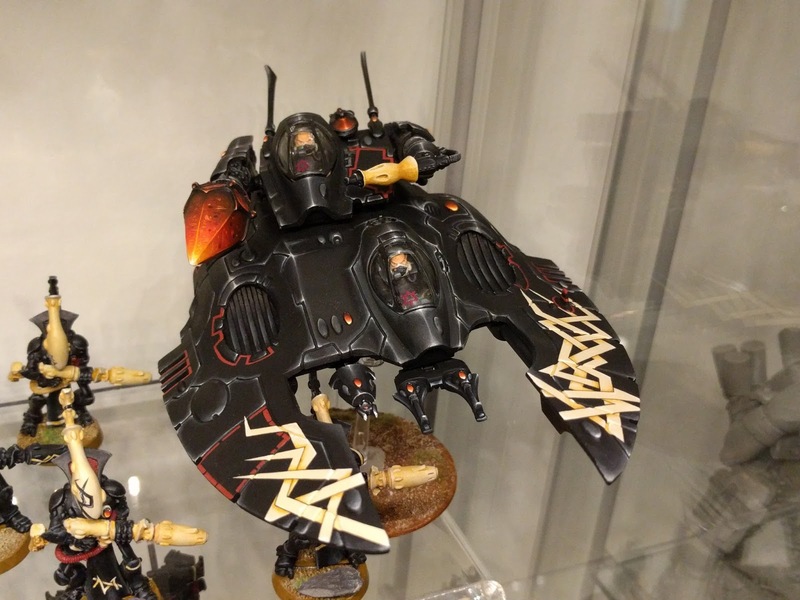 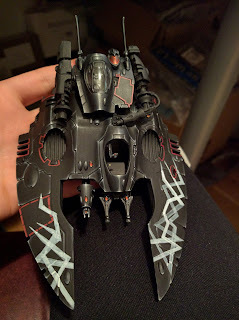 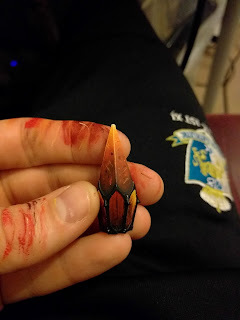 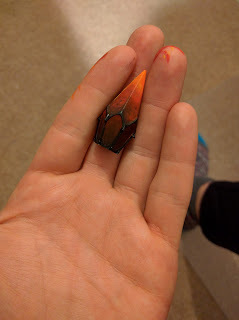 3rd Edition Eldar Fire Prism Ulthwe Painting Tutorial with no guidance nothing but photos. Said it before, I just love the “Eldar Craftworld” version of Ulthwe ever since then I’ve wanted to recreate that army. 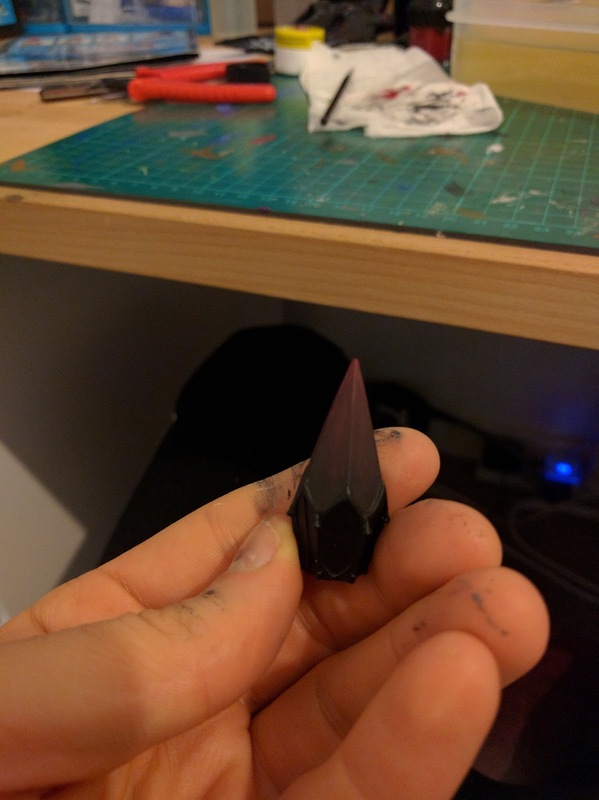 Here is my Fire Prism attempt. 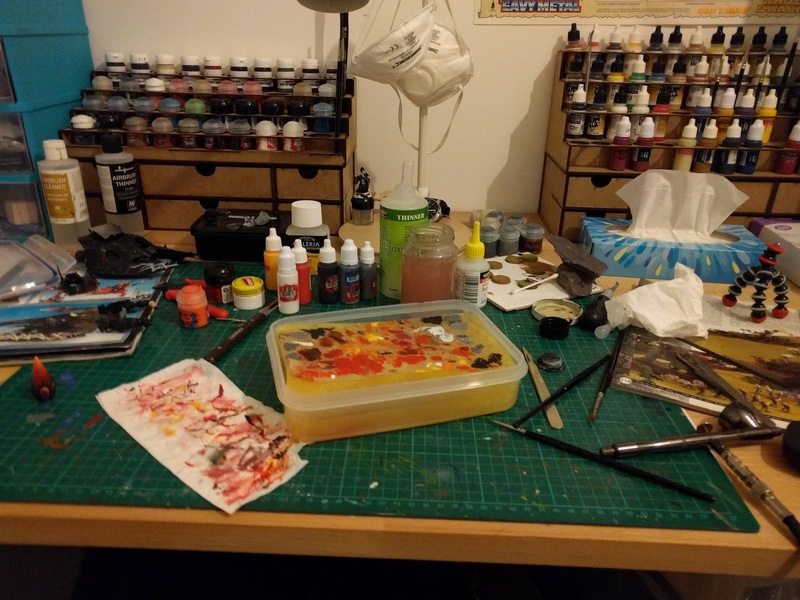 I started this on the 17.01.2016 Although I also moved home on 14.02.2016 I think painted for about 2 weeks before the move and I didn’t paint for 2 weeks after. 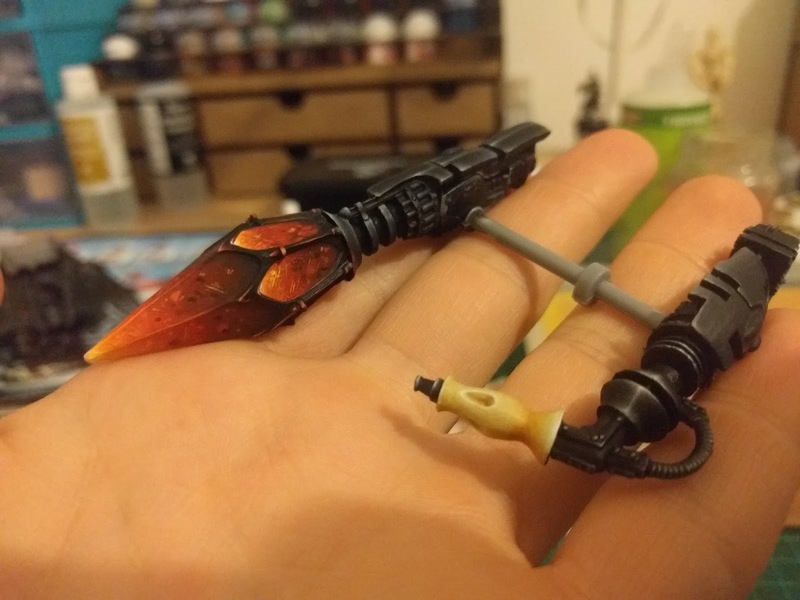 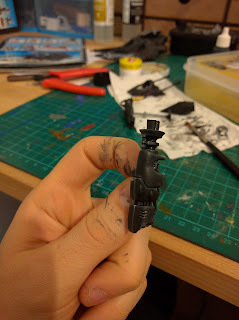 So all in all 2 months to paint this guy :O Longer sort of than I realised. 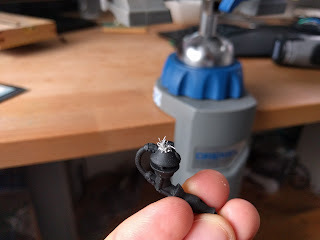 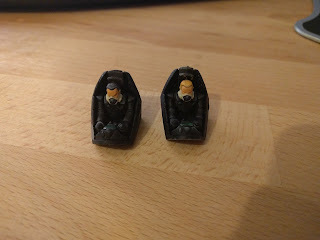 Drilling the bits together. 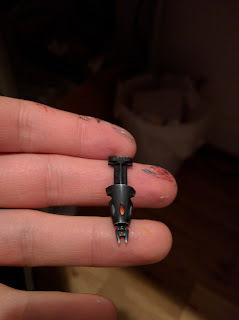 I drilled the 2 access to the prism and this part to make sure they held. 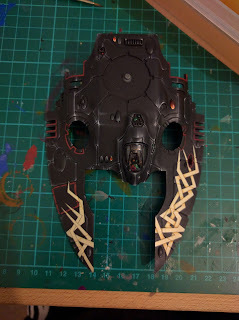 Starting to do the fading the parts of the little sticky out bits.